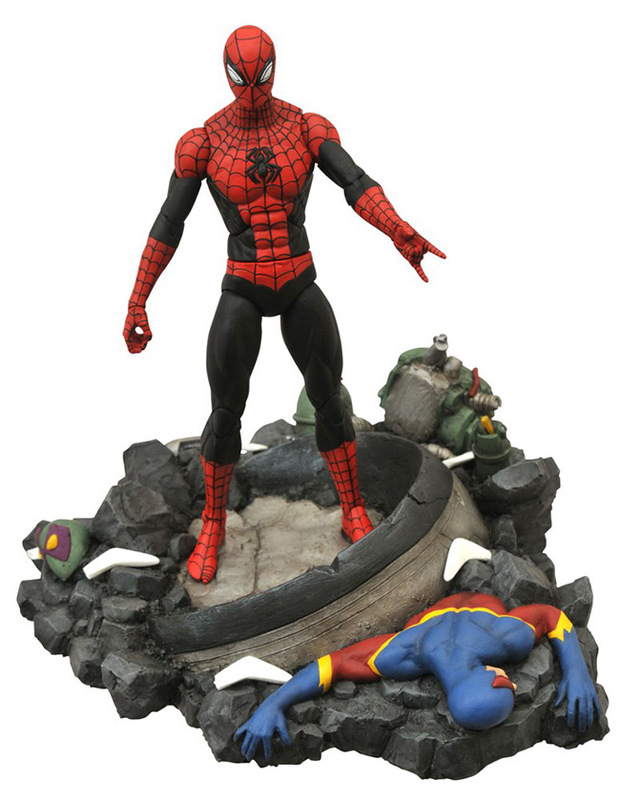 Capturing Spidey as he appears in recent issues of The Superior Spider-Man, where he has become the unwilling host body to the consciousness of Doctor Octopus, this 7-inch figure features 16 points of articulation and was sculpted by Sam Greenwell. 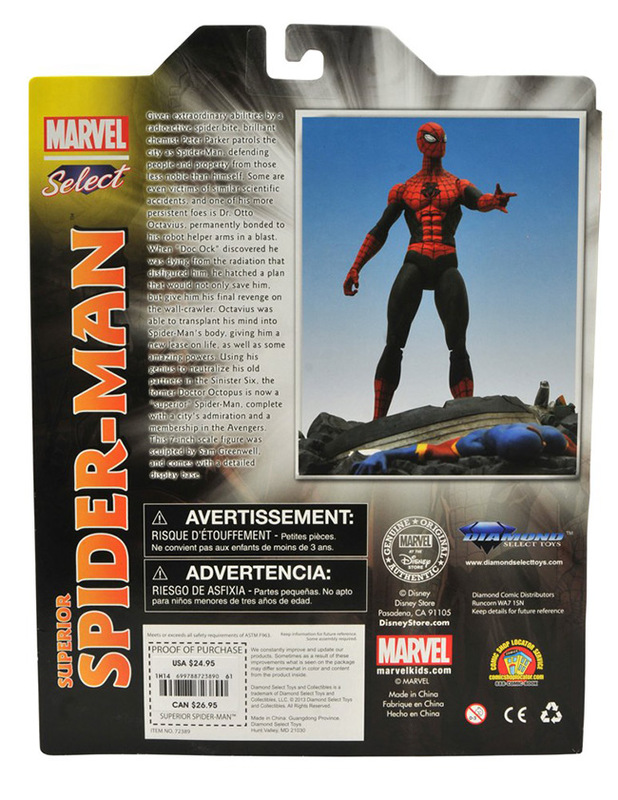 The figure will come packaged with a detailed display base depicting the aftermath of a battle with the Sinister Six, and will arrive on store shelves in the famous, display-ready Marvel Select packaging, with reference artwork of Spider-Man on the spine. 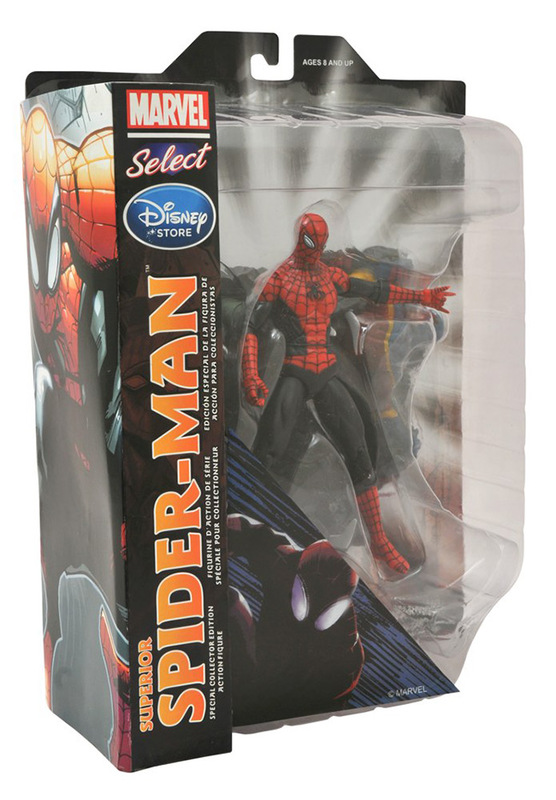 "It's a known fact that I'm a huge fan of Spider-Man," said Diamond Select Toys President Chuck Terceira, "so the opportunity to make a new, more current Spider-Man figure for the Disney Store was a dream come true. Their support of the line makes great figures like this possible, and Sam really knocked this figure out of the park." 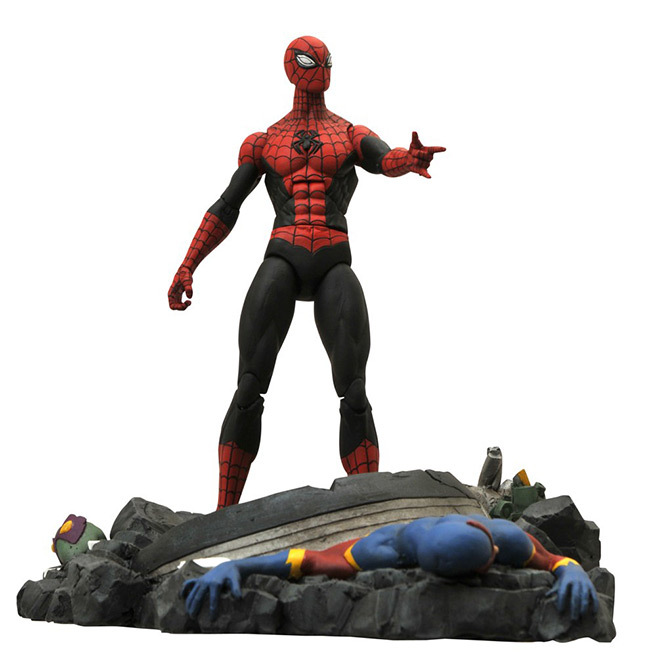 Look for the Superior Spider-Man at DisneyStore.com and MarvelStore.com now, and in your nearest Disney Store soon!